2-tiered chime is made of many shapes of capiz shells. Sparkling in the sunlight & gently tinkling in the wind it is like a colorful mini chandelier. All our Capiz chimes are made in our Fair Trade workshop in Bali. 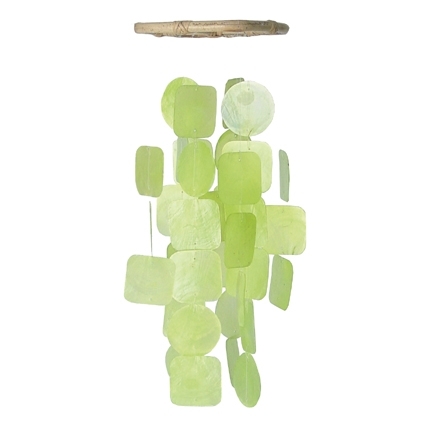 Subtle tones of green make this small square capiz wind chime the perfect spring accessory for your patio or porch. 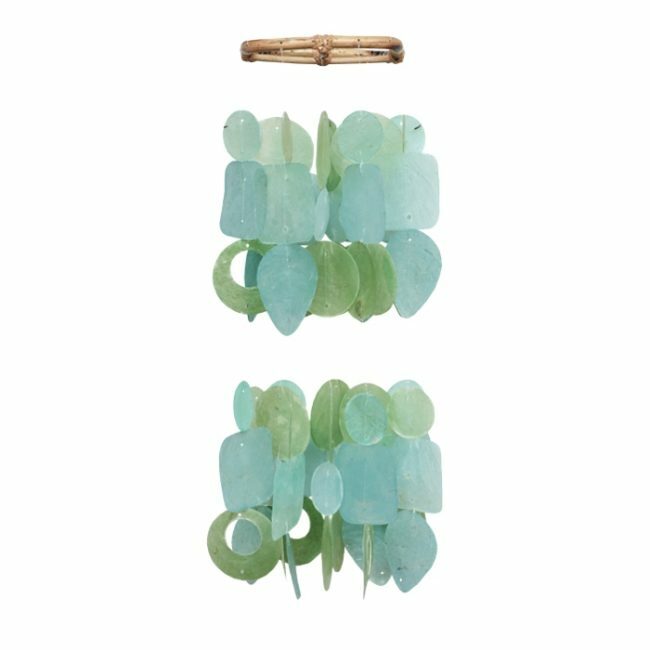 Just hang it by the metal hook above the bamboo frame anywhere the breeze can get to it and it will shimmer away for you! Made in a fair trade workshop in Bali. Dimensions: 5.5" x 5.5" x 14.5" Learn more about our Capiz Chimes.